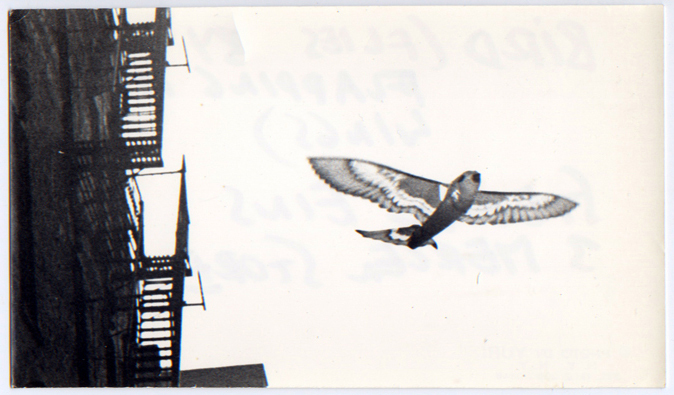 Stefan Eins, a bird, wind-up, flies by flapping its wings, a toy – hovercraft, other items, demonstration and sale, announcement, c. 1976; a publicity photograph by Yuri showing the bird in flight, c. 1976. Announcement, offset print on cardstock, 3 ¾ x 7 ¾ in. 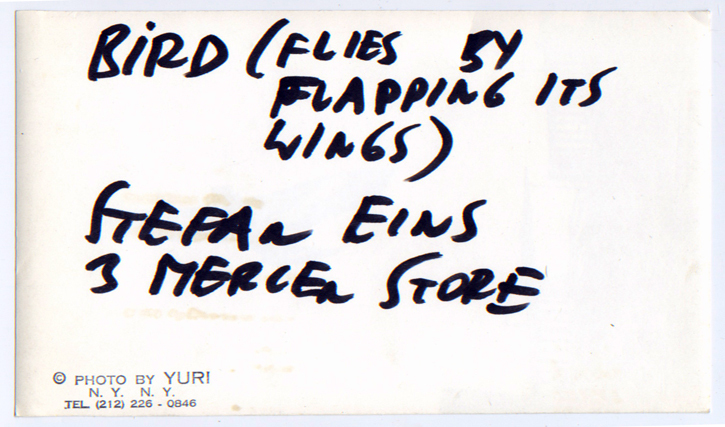 ; back of photograph includes handwritten notation by Eins and Yuri’s rubber stamp, 4 x 7 in.